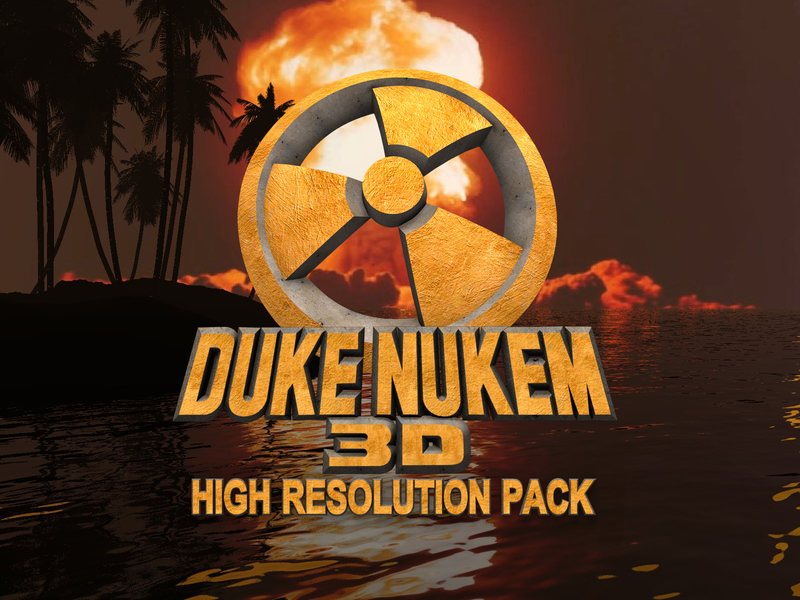 Duke Caribbean: Life's A Beach Plus is an all-in-one pack, including an HRP, a music pack, 8-bit fixes/improvements, and updated programming, created to enhance the Duke Nukem 3D add-on, Duke Caribbean: Life's A Beach. This is the thread used for submissions, bug reports, questions, and suggestions. See the Vaca+ page over at my website for submission guidelines and the to-do list. A Duke Caribean featuring Dukeplus? Cheers!!! Yeah!! Before anyone asks, the name changed because I wanted to reflect everything that was included. No, there is not a Caribbean version of DeeperThought's Duke Plus in Vaca+. There will not be one for a very long time, for many reasons. Apparently, the "plus" name isn't a good idea, and make people think it should be a Caribbean version of DukePlus. Life's A High Resolution Beach. Gambini was joking. But rest assured, other people will do exactly that but in a serious manner. I vote for the usage of "advanced". Eventually some of the DP features will be added. Like I said, there are many reasons why they aren't included right now, but that's another post. Link us man, Link us. It's not ready yet. Go back and play your Duke Plus, will you? No problem. I'll wait. I'm still working on getting passed the 2nd level of Duke Nukem. The word plus isn't copyrighted and I'm sick of seeing HRP everywhere, it's just a sad attempt to get people's attention when everyone knows it's high res anyway (where are the good days of "retexture"?). I think Life's A Beach Plus is a great name. It's not "high res anyway" when we're talking about vanilla Build games that have low resolution textures. · This map was shipped corrupted! Huh? How was this map corrupted? I haven't seen anything wrong with it. If you play the map straight as it comes, it appears fine. But once the correction feature in Mapster32 is activated, either by saving it or pressing CTRL+SHIFT+ENTER, a wall appears on the Cruise Director desk and outside of the Dolphin Deck. Awesome stuff! Reminds me I should replay the Caribbean expansion sometimes, it's my personal favorite. when the next official version of duke caribean will be created? Soon. There are still some things I'd like to work on, and I like to release NW+ and Vaca+ simultaneously. Piggy needs to be reskinned, I assume? Maybe that chicken guy could try it, and I might take a crack at a skin, but I can't promise anything, it's been forever since I've done 32bit stuff. King Chicken should have no problem with most of the modifications, for Caribbean and NW. Unfortunately, I have not turned up any viable source models. I have, however, found a fully working MD3 importer for Blender. Maybe that chicken guy could try it, and I might take a crack at a skin, but I can't promise anything, it's been forever since I've done anything. Well if you count releases, yeah it was a high res texture circa 2004. You've done stuff for this very HRP years after that.